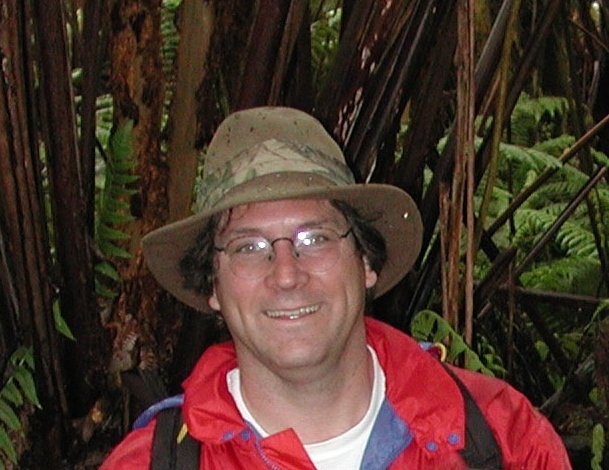 Dr. Donald Price is a Professor in Biology and the Director of the Tropical Conservation Biology and Environmental Science (TCBES) Graduate Program at the University of Hawaii at Hilo. He completed his B.S. in Biology at the University of Minisota, received his M.S. from Illinois State University in Biology, and was awarded his PhD in Ecology, Ethology, and Evolution from the University of Illinois at Urbana-Champaign. After graduation he was a National Institutes of Health post-doctoral research trainee at the University of Tennessee and a National Science Foundation post-doctoral research associate at the University of Oregon in genetic mechanisms of evolution before joining the faculty at the University of Hawaii. Donald is here with us today to tell us about his journey through life and science. Donald K. Price was raised in St. Paul, Minnesota. His research area focuses on ecology, evolution and conservation genetics primarily in animals with wings. His lab is studying the genetic basis of behaviors and morphology in Hawaiian Drosophila species using classical and molecular genetic approaches to determine the genetic basis of traits that are associated with speciation in closely related yet highly divergent species. He is also examining the ecology of species distributions and temperature tolerance associated with the local adaptation of Hawaiian Drosophila species as this is related to factors such as climate change, invasive species and habitat fragmentation that may contribute to their decline in nature. His group is also investigating the genetics of Nene, the Hawaiian Goose, and the Hawaiian Hoary Bat, two important endangered species. Don has also been involved in a wide-variety of science education, curriculum development and program development. There have been more than 150 graduate students in the TCBES Graduate Program he directs, with more than 100 graduates to date. He has mentored in his laboratory more than 65 graduate, undergraduate, high school students and post-doctoral research associates. He has received over $36 million in grants primarily from National Science Foundation, National Institutes of Health and Moore Foundation.